In the previous releases, there wasn’t a direct option provided to truncate a master table while it is referred to by the child tables and child records exist. 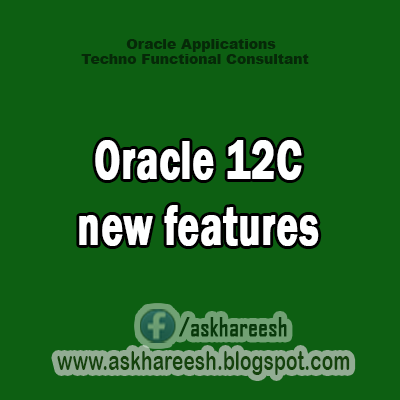 The TRUNCATE TABLE with CASCADE option in 12c truncates the records in the master table and automatically initiates recursive truncate on child tables too, subject to foreign key reference as DELETE ON CASCADE. There is no CAP on the number of recursive levels as it will apply on all child, grand child and great grandchild etc. This enhancement gets rid of the prerequisite to truncate all child records before truncating a master table. The newCASCADE clause can also be applied on table partitions and sub-partitions etc. An ORA-14705 error will be thrown if no ON DELETE CASCADE option is defined with the foreign keys of the child tables.